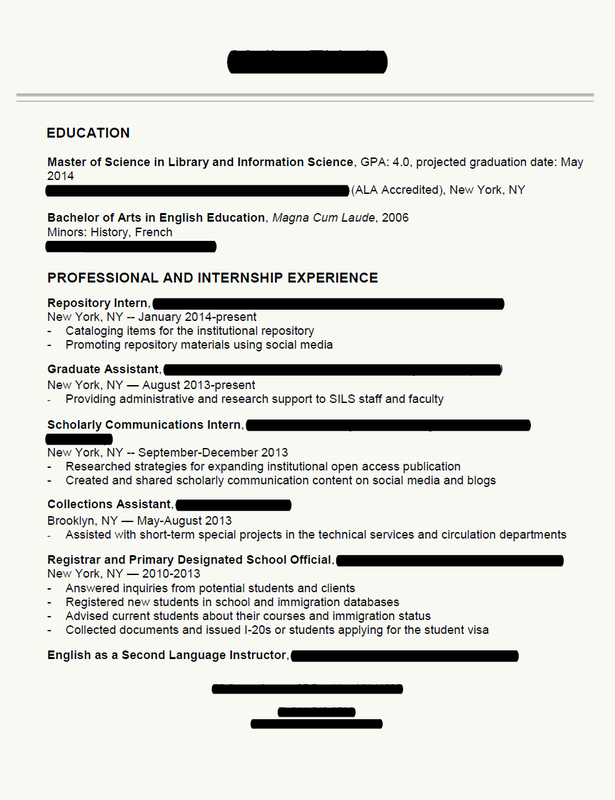 I’m looking for an entry level up to two years of experience position at an academic library. My primary area of study/interest is scholarly communication, but due to my teaching experience, I’m also applying for instruction/reference positions. There are a couple of opinions I’d like to hear in particular from commenters about presentations/publications. I’ve written a few blog posts that were posted on an institutional blog at a prestigious university, and I’m not sure whether to include them in my publications. I also did a presentation of a school project at a department “showcase” on the recommendation of a professor. Should I include it on my CV? 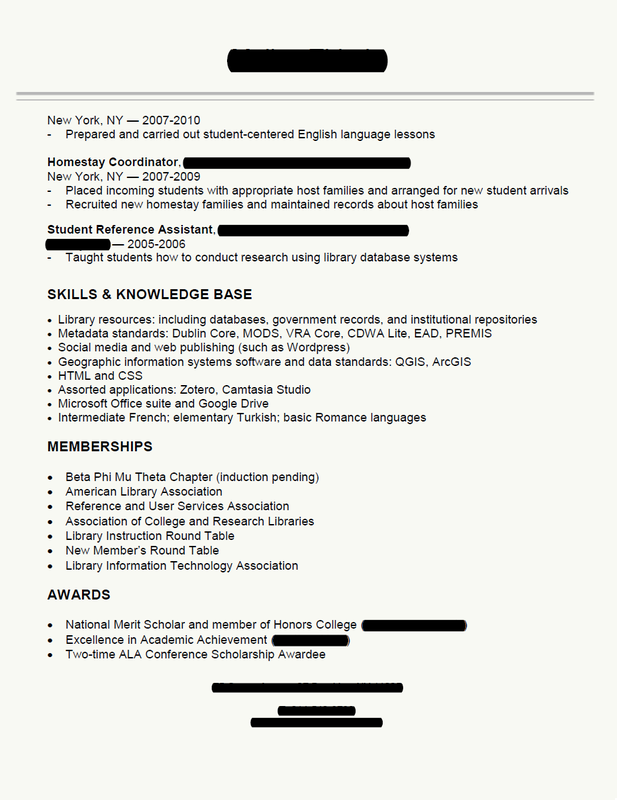 I’m quite proud of these things, but I also don’t want to be seen as padding my resume with insignificant achievements. I would try to find a way to work in the skills section into your job section. For example, you could say under repository intern that you had a chance to use Dublin Core to catalog items according to University standards. This shows where you got the skill and , more importantly, the practical situations where you have used that skill. I’d include your blog posts and presentation on your resume. Since you’re a recent grad, I think it will show potential employers that you are interested in publishing and presenting, and the venues seem appropriately scholarly. I would move the skills and knowledge base to the top, maybe renaming it, knowledge base does not sound right. I would also put below that your awards, which looks amazing, I wish I had all those. That way, it can show the hiring how successful you have been and demonstrates that you would not be a questionable hire. 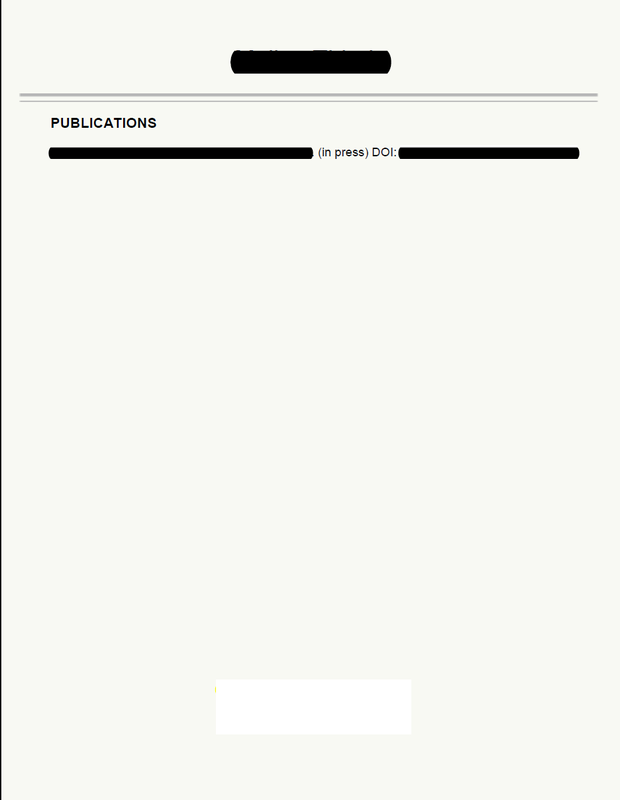 It may free up a line or two so that your last page doesn’t have only one item.